HIGH COUNTRY TRUCK & VAN of Fairview, North Carolina formerly of Asheville has been a family owned and operated business specializing in the sale of quality used trucks, vans and commerical vehicles since 1973. We offer a wide range of commercial and fleet vehicles that includes work trucks, cargo vans , utility trucks, service trucks, dump trucks ,box trucks and more. Owners Rick and Jim Cardillo have a combined 70+ years in the retail/wholesale automotive industry. 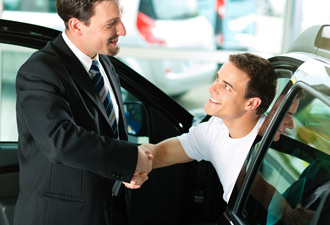 Our years of experience, extensive travel and out of town connections allow us to offer customers inventory that no other dealer in Western North Carolina has, while maintaining a reputation for quality, honesty, and integrity and offering vehicles at the best price possible. HIGH COUNTRY TRUCK & VAN makes it easy to buy with special financing options and we accept cash, a personal/business check, or Visa/Mastercard. Trade-ins are also welcome. Most vehicles on the HIGH COUNTRY TRUCK & VAN lot qualify for 3- or 4-year extended warranties. We offer warranties at very reasonable rates through Guardian Warranty Corporation.